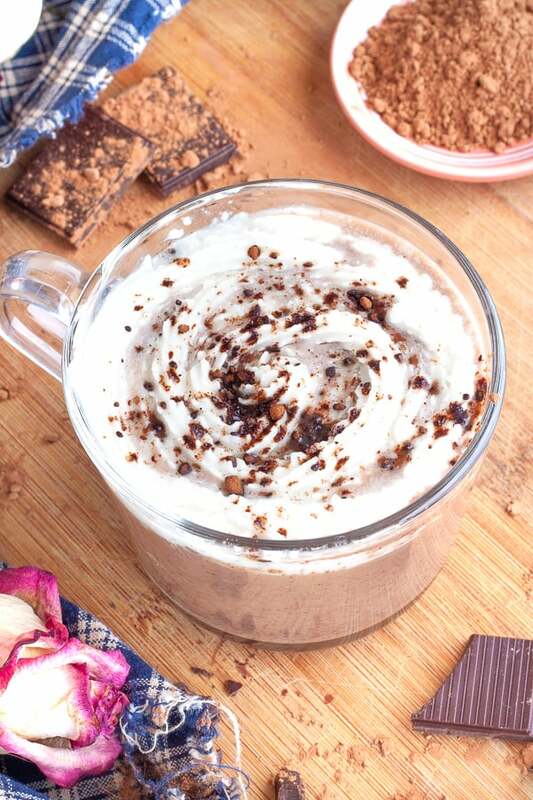 This homemade hot cocoa recipe is unbelievably creamy and delicious! 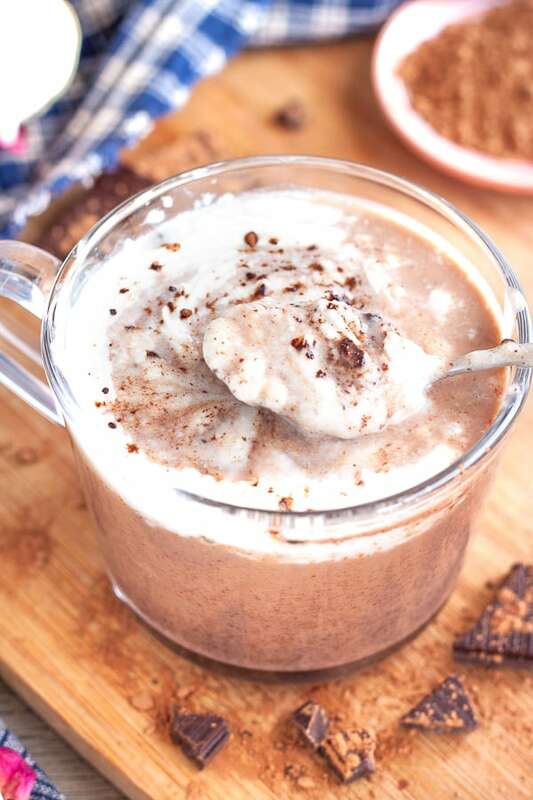 If you’re looking for a super-creamy hot chocolate recipe that’s dairy-free and all natural, you’ll love this recipe! It’s made with chunks of real, organic dark chocolate, sweet maple syrup and delicious coconut and almond milk! To top it off, you can enjoy a simple whipped coconut cream and not have to worry about all the additives in store bought non-dairy whipped creams. I love the richness in dark hot chocolate over “milk” hot chocolates, I think the flavor is so much more interesting and not too sweet! Usually hot chocolate recipes use a powder, but I think you’ll love using chunks of real smooth chocolate and never go back. Maple syrup is the sweetener for this recipe, and you can add as much of it as you’ll like. I found that 2-3 tablespoons was just the right amount of sweet, but feel free to use less for a sharper dark chocolate cocoa! 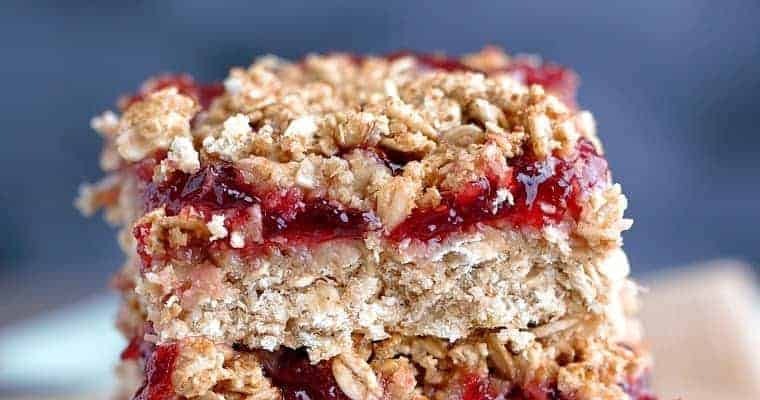 What you’ll love about this recipe is that it’s ready in under 10 minutes! It makes two cups so you can share, but if it’s for the family you can always double or triple it! When you’re ready to make it, toss all the hot chocolate ingredients into a pot over medium heat, and stir frequently. Once it started melting the chocolate I kept stirring constantly until the desired warmth. 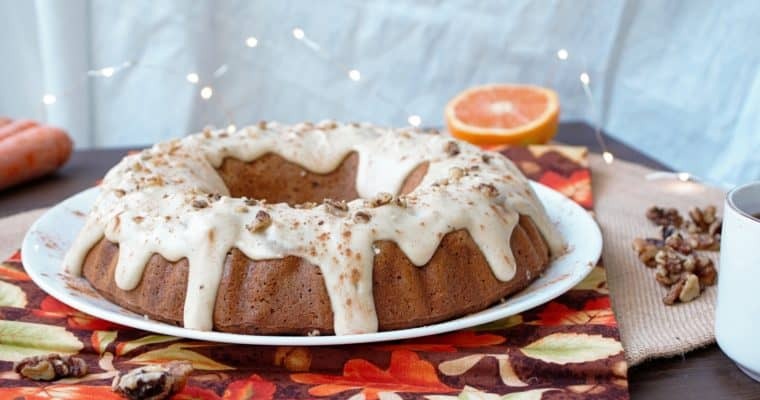 Pour it into your mugs and now it’s time to make the topping! You may have tried some of the new non-dairy whipped creams coming out in stores – I think it’s so great to have this option and to have dairy-free products more accessible! However, I’m always looking to eat as simply and naturally as possible, so if I have the time I prefer to make my own. For this whipped cream, chill a can of coconut cream for a few hours in the fridge, and scoop out 1/2 cup of the thick cream on the top of the can. Add this to a bowl along with the maple syrup and almond milk, and mix well. Then scoop it into a piping bag and pipe it in a big swirl on top of the hot chocolate! If you don’t have a piping kit, you can simply scoop it on, or add it to a Ziploc bag and cut an opening in the corner to pipe it! 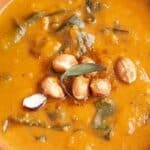 I used a combination of full-fat coconut milk (from a can) and plain almond milk for this recipe. I found that using all coconut milk was too rich, and all almond milk wasn’t rich enough. So if you can, I would highly recommend this mixture – it’s the perfect combo for your hot chocolate! 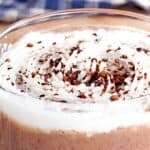 This recipe is my favorite, creamiest hot chocolate, but if I want some even quicker and more portable I love this organic and fair trade dark chocolate cocoa mix! 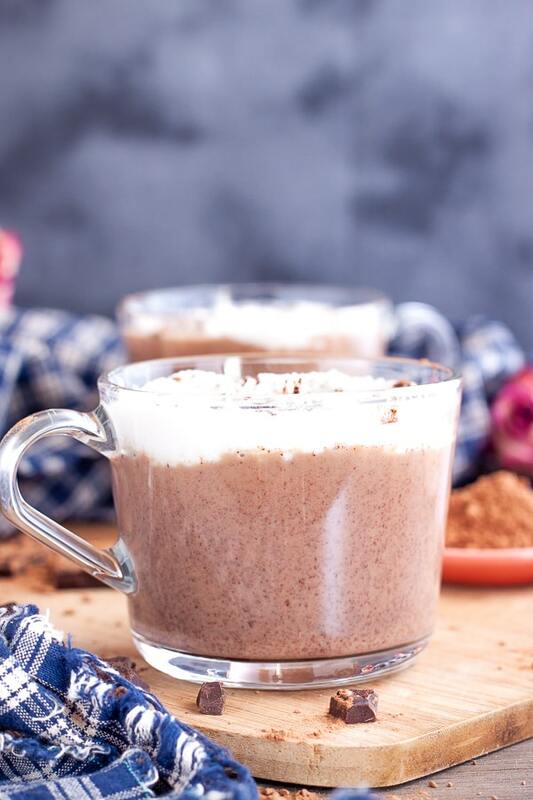 If you’re looking for more dairy-free drinks, try my Cinnamon Latte! 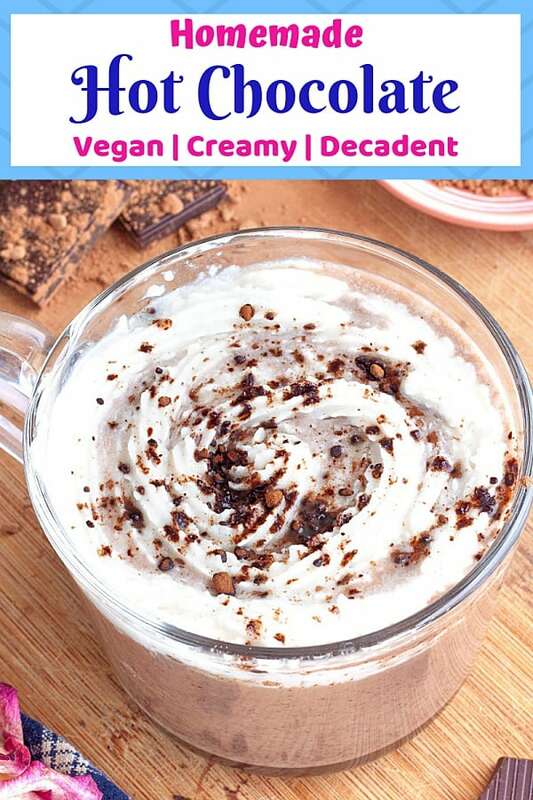 This homemade vegan hot chocolate recipe is the best dairy free treat that's still super creamy and delicious, topped with sweet coconut whipped cream! Add all hot chocolate ingredients into a pot over medium heat. Stir until chocolate is completely melted, but be careful to not let it boil. Take it off the heat immediately after chocolate melts. Pour into mugs. Scoop coconut cream out of a can and add to a bowl with 1 tablespoon maple syrup and almond milk. Mix well and scoop into a piping bag**. Pipe whipped cream over hot chocolate and top with cocoa powder if desired. *To get this cream, place a can of coconut cream into the fridge for a few hours or overnight. When you open it, the thick cream will have risen to the top, leaving the liquid on the bottom. You can simply scoop out this thick cream! 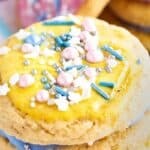 **If you don't have a piping bag you can simply scoop the whipped cream on top! 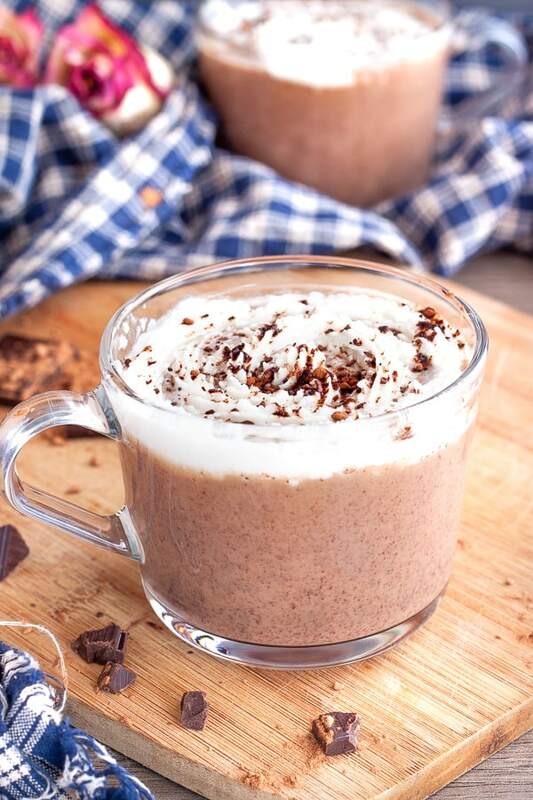 Nothing beats a cup of homemade cocoa! Yours looks fab! Ooh! 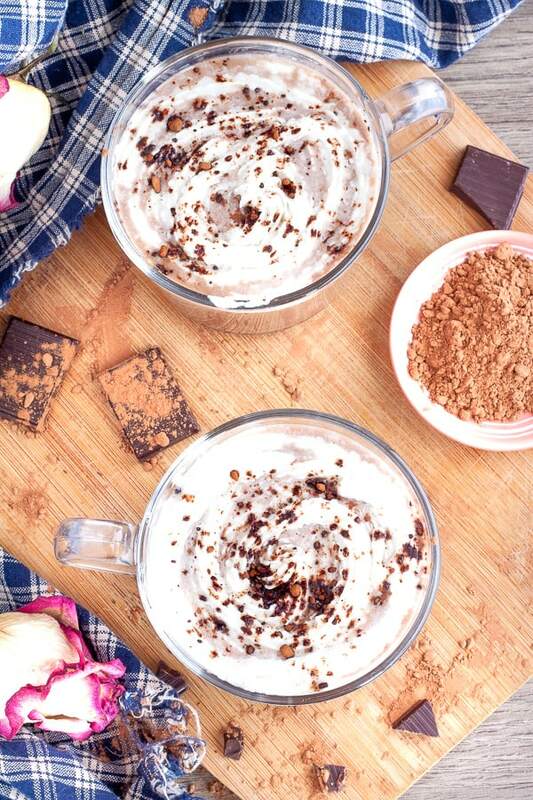 The maple syrup is such a great idea for sweetening your hot cocoa! That sounds divine!! Can’t wait to try it! Thanks so much!! I love using a bit of maple syrup as my sweetener when I can! Yes definitely! Plus you can customize it so much more. Thank you! 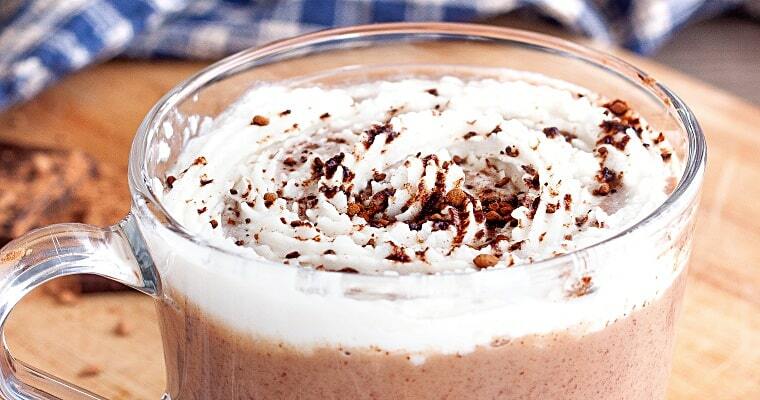 This looks like the perfect cup of hot chocolate! Never tried it with coconut milk or coconut cream but your recipe makes me want to try it. Thank you! The coconut milk makes it super creamy and delicious! 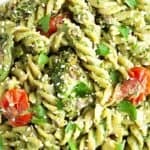 Love healthy twists on favorites! So delicious and so guilt free!